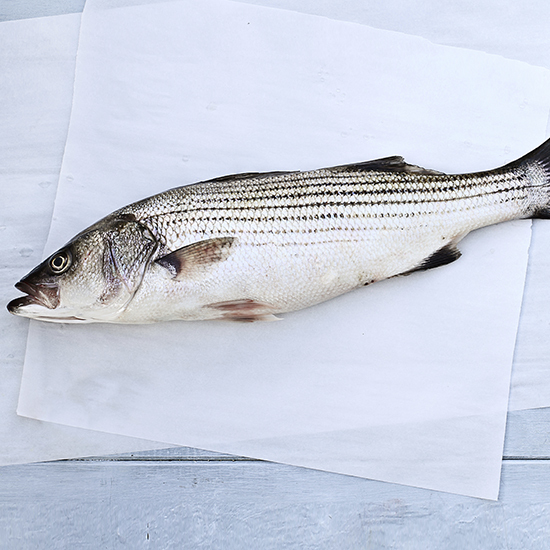 Bad news: Striped bass could be a thing of the past thanks to poaching and overfishing. But there’s hope. Chef and fisherman Kerry Heffernan is working to save the fish through a campaign called SOS, Save Our Stripers. Bad news: Striped bass could be a thing of the past thanks to poaching and overfishing. But there’s hope. Chef and fisherman Kerry Heffernan is working to save the fish through a campaign called SOS, Save Our Stripers. Along with other fish-loving chefs like Tom Colicchio, Dave Pasternack, Michael Chernow, Rick Moonen and Harold Dieterle, Heffernan has taken a pledge not to serve Atlantic striped bass in 2015. Instead, these chefs will add underused, local Northeast fish to the menu, like porgy, bluefish and fluke. Heffernan is encouraging more chefs to join the cause. The participants will all be announced during a takeover of the Monterey Bay Aquarium’s Twitter feed and live Periscope broadcast from Heffernan’s floating NYC restaurant, Grand Banks, on August 13. Find out more about the campaign and follow along by liking SOS’s Facebook page.